It was again while we were within the Jardin du Luxembourg that we took these high definition photos showing the bust of Antoine Louis Barye, by Raoul Francois Larche, which is located on the facade of the Orangerie next to the Musee du Luxembourg in the 6th Arrondissement of Paris. Now this first HD photo shows the bust of Barye, which was commissioned by the Administration of Fine Arts in 1886 along with several others of famous French artists, in order to decorate the facade of the Orangerie and the museum of the Luxembourg Gardens. It was produced in marble by Raoul Francois Larche, who was born in 1860 and became a French sculptor, although he is best known for his statues of female figures, but this bust was finished and put in place on the facade in 1888. 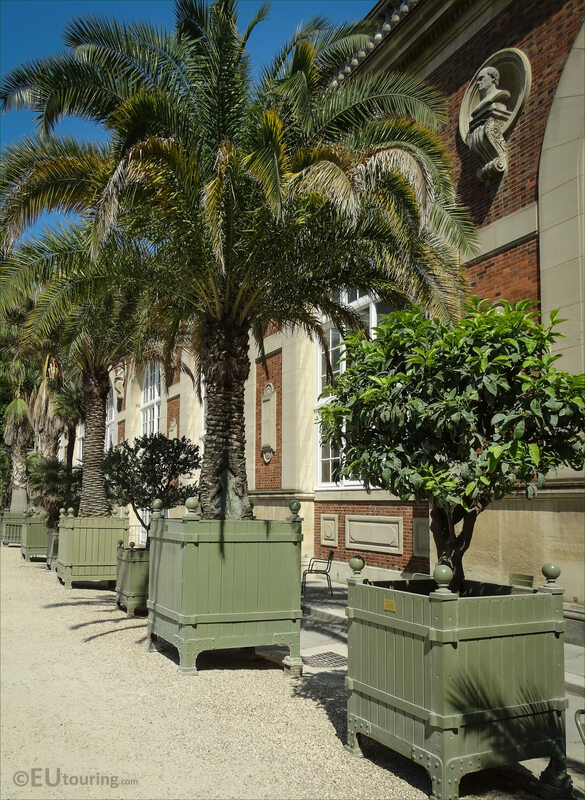 But as you can see from this photo, when the orange and palm trees are moved out of their winter home into the garden, although it makes a beautiful scene for tourists to enjoy, it is harder to see some of the statues and sculptures. 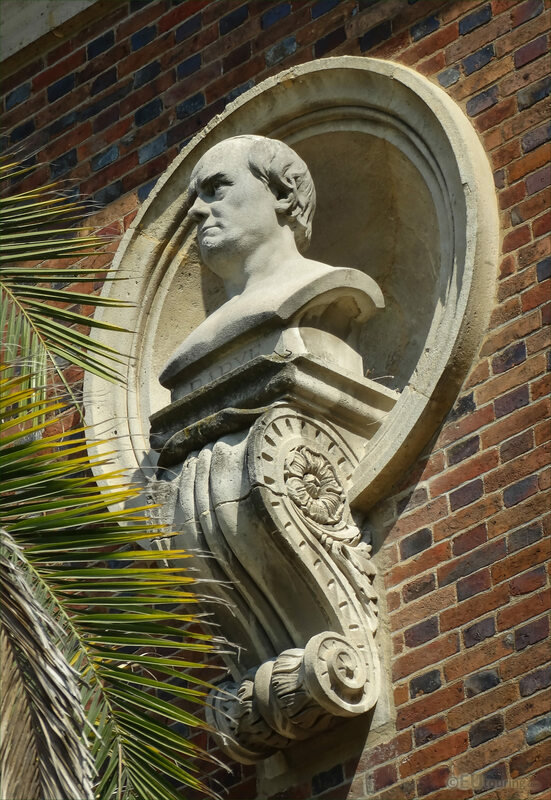 Yet, this bust is dedicated to Antoine Louis Barye, who was born in September 1796 and become one of the most famous sculptors of animal in Paris at the time, with many of his works to be found in gardens such as The Tuileries. And although he initially worked as a goldsmith, it was his fascination of watching the animals at the Jardin des Plantes that led to his passion depicting both wild and domesticated animals in such a precise and realistic manner, which is why he is one of the few artists depicted on this building in Paris.